When you use your Xbox 360 Wired Headset, you hear no sound from the earpiece. Note The Xbox 360 Wired Headset is designed for use with licensed Xbox 360 devices only. The headset is not intended to be used with any other device. The Xbox 360 console does not transmit game sounds or music through the Xbox 360 Wired Headset. Privacy or Family settings are configured incorrectly. Try the following general solutions first. If you continue to experience a problem with your Xbox 360 Wired Headset, see More information, below. Examine the headset, the cord and the connector for visible defects. Make sure that no dirt or debris is on the headset connector. To clean the connector, use a cotton bud dipped in surgical spirit. Firmly insert the Xbox 360 Wired Headset connector into the expansion port that is under the directional pad (D-pad) and the right stick on the controller. If these steps do not resolve the problem, go to the next section. 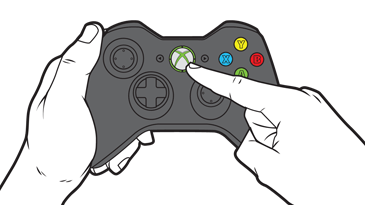 Turn on your Xbox 360 Controller and ensure that your Xbox Guide button has a green light in quadrant one to indicate that it’s turned on and assigned to a user. Download the Skype client if you don’t already have it installed. On first set-up, you’ll be prompted to check your sound and video quality. 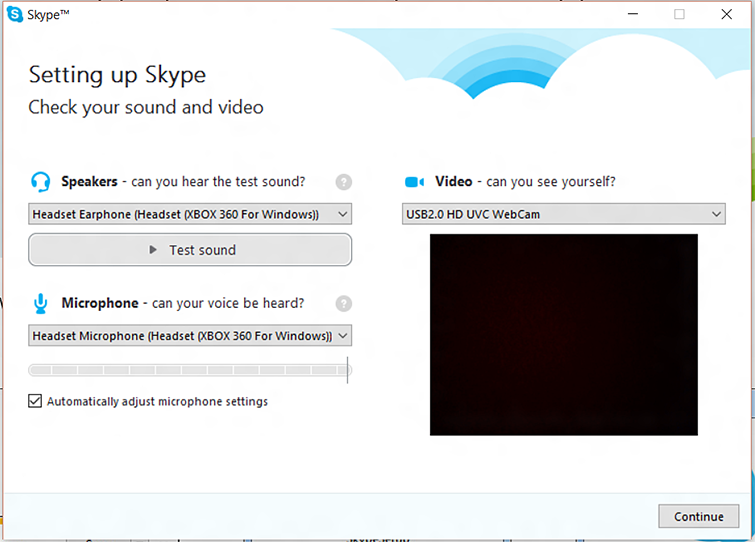 If you already have Skype installed, you can access the sound and video test by selecting Tools and then Options. Select Audio settings to test your microphone and speakers. Before testing your headset, make sure that you have your Xbox 360 Headset selected from the drop-down list of devices. For more information, see the Skype Speakers/Headphones Troubleshooter. If these steps didn’t resolve the problem, see "More information" below. Try the following solutions if you experience any of these additional problems. Make sure that the volume level is set correctly and that the volume is not muted in the volume mixer in the PC. If these steps don’t resolve the problem, you may need to replace your Xbox 360 Wired Headset. Note This echo effect originates from the person who is talking and not necessarily from the person who hears the echo. For example, if you hear an echo only when someone else talks, the problem concerns that person’s headset connection, not yours. You’re using the Xbox 360 Wireless Controller, and the battery levels in the unit are low. Turn down the volume on your PC. Disconnect the headset from the controller, and then reconnect it. Test the headset by connecting it to a different controller, if one is available to you. If you’re using an Xbox 360 Wireless Controller, replace the AA batteries or recharge the Xbox 360 rechargeable battery. Would you like to contact Support regarding the "Xbox 360 Wired Headset troubleshooting for Windows 10" issue you were reading about or a different issue?